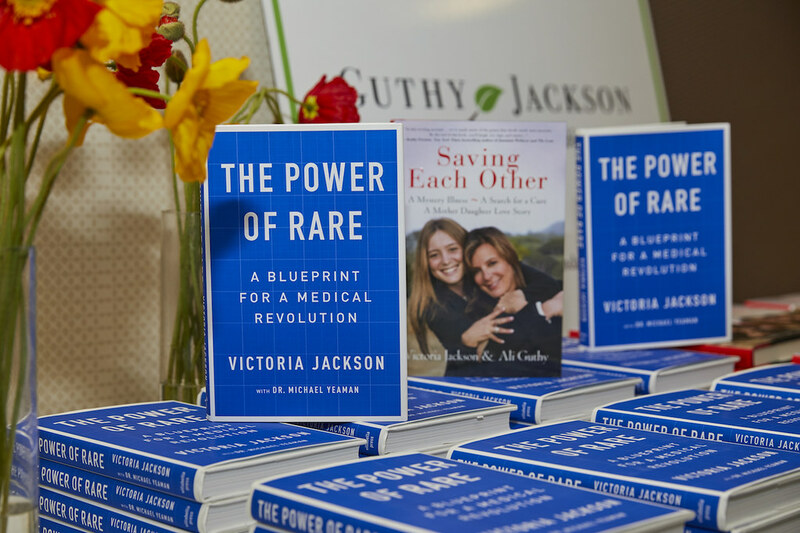 The Guthy – Jackson Charitable Foundation’s 2018 International NMO Roundtable Conference, “NMO State of the Union”, was the foundation’s tenth scientific research conference. Learn about recent scientific and/or clinical advances in NMO research. Reconvene the “best of the best” in neurodegenerative disease research for the purpose of continued information sharing and facilitating further strategic partnering for NMO research. Align pharmaceutical, clinical and scientific strategies toward potential NMO drug discovery, and/or drug repurposing and/or clinical trials. GJCF-funded Principal Investigators as well as other international scientists and clinicians presented their scientific findings and clinical progress to attendees with the intent of addressing the current and future status of scientific research, best clinical practices and pharmaceutical pathways. These presentations and panel discussions enhanced international collaboration to help advance the scientific and clinical knowledge of and work toward treatment and a potential cure for NMO. 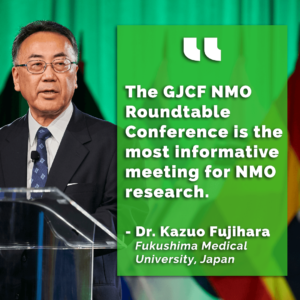 The NMO Roundtable Conference also featured meetings for the International Clinical Consortium, Industry Council, and a poster session featuring 14 submissions. Click here to download full size. Click here to visit the private attendee page. Hi! Reviewing last year’s agenda for the AAN, the topics they held seemed more of an information meeting of sorts in which a short brief was held for NMO and it was worded in a way that it was more of a one way type conversation rather than a discussion amongst the scientists and doctors. What is the desired outcome with aligning the annual NMO event to coincide with the AAN? Thanks for the question. A good majority of the NMO research community attends the AAN meeting and aligning it with AAN accommodates those who will already be traveling to LA to attend. 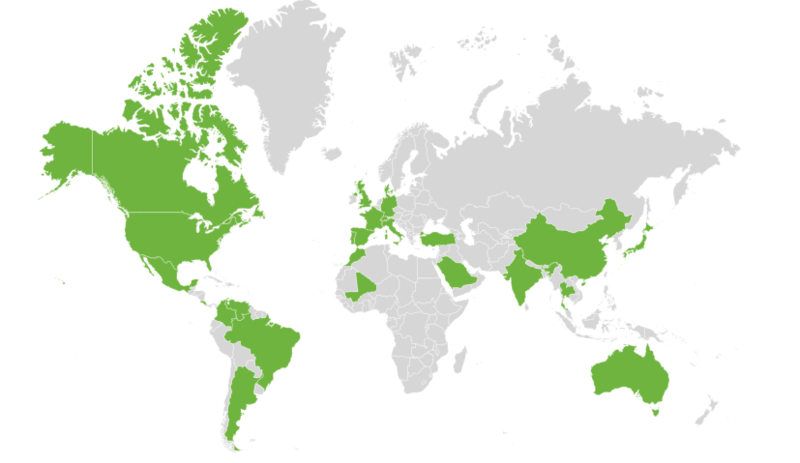 I addition, we believe that we also may be able to have a bigger reach to other NMO researchers who have never attended our conference before. Hi! Will Patient Day have neurologists and clinicians that would then hold a panel for patients and caregivers to ask questions? Our agenda for the 2018 NMO Patient Day has not been finalized. However, the ‘Ask the Docs’ panel is a popular segment that would most likely be included. You can follow Patient Day progress on our patient day page by clicking here. May patients or caregivers attend the NMO Conference (non-patient day) being held in April? Historically, the conference is only open to clinicians, researchers, and industry professionals. We will look into it for you. Also, we should be announcing information for 2018 NMO Patient Day in Los Angeles shortly. There’s a Sheraton Gateway Los Angeles near LAX. The conference is scheduled for the Sheraton that’s in downtown Los Angeles, correct? Last year’s it was near LAX so I just wanted to make sure I’ll be booking the hotel at the correct hotel. The Roundtable is scheduled to be held at the Sheraton Grand in Downtown LA due to it’s close proximity to the convention center and AAN. The 70th Annual AAN is scheduled for April 21-28. Is April 21 identified to be patient day for the NMO Conference? 2018 Patient Day has not been announced yet, but most likely will not take place in April during AAN.